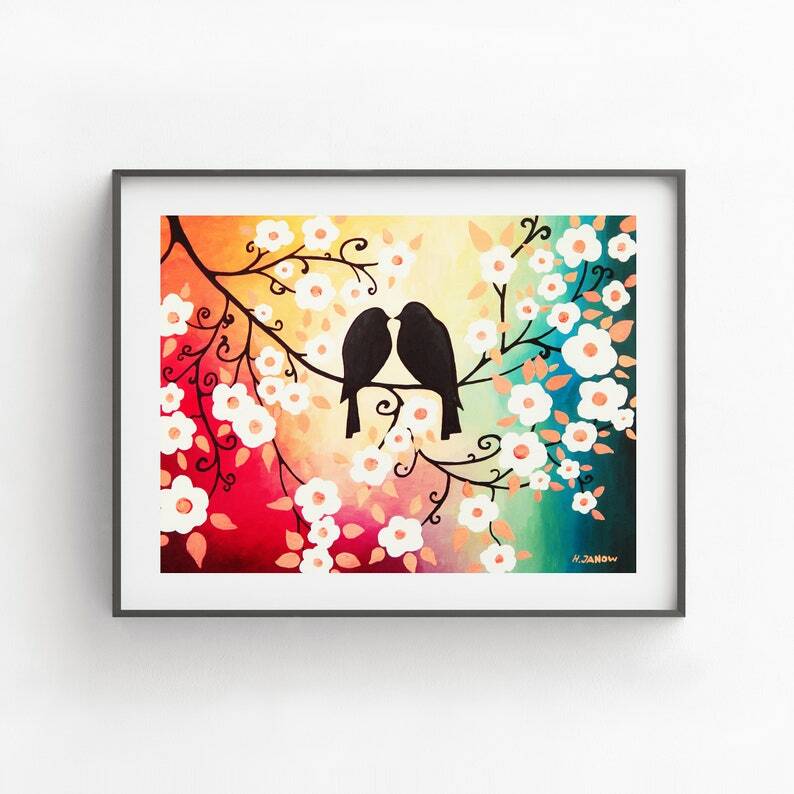 This romantic love birds print “Romantic Love” is so dreamy! Beautiful rainbow colors and white cherry tree flowers of this artwork are absolutely stunning! Originally a painting, this whimsical art print features beautiful rainbow colors and watercolor-like style of painting. The print is perfect for any modern interior where it can be enjoyed everyday.